Part of the fun of working in the real estate business is meeting wonderful people. Our clients come locally, domestically and from around the world to enjoy the Naples Fl lifestyle. "My wife and I flew into Naples for five days (she for the first time) and spent 2½ days with Rowan. Even though he knew we had a prior obligation to first visit Marco Island and the Lely Resort with another broker, he was faithful to the task throughout and during his 2 ½ days found us the home we desired most. He provided great bidding advice; we had an accepted offer within a week after departing, and he helped renegotiate and keep the transaction alive after an inspection determined the roof would need immediate replacement. Through the entire process he demonstrated the highest ethics, un-pressured determination, and outstanding knowledge and competence. I would recommend him to anyone seeking to relocate to beautiful Naples. "Perfect is an understatement when working with Karyn Samuel. The Real Estate world can be exciting and frustrating at the same time but having Karyn Samuel by your side will turn all those imperfections into opportunities. Your best interest is always her main goal and with elegant honesty she will keep you grounded: realistic expectations with a touch of premeditated risk. We recently purchased two homes in completely different neighborhoods and feel she understood every single one of our needs and procured things we didn't even know we could have. What you see is what you get with her. What I see is one of the best realtors in town." "One of the best things I ever did was to use Rowan Samuel as my realtor. I was so impressed with his experience and expertise in the market that I used him on both the selling side and the buying side. I met Rowan by chance the weekend my listing with another Realtor had expired. Sure, I was getting showings with the other realtor, but there was very little activity and after 8 months of the same old, it was getting a little tiring. What impressed me the most was in our initial meeting, Rowan had it all figured out. He came in with a definite plan on how he was going to "sell" my condo, and he did. From the marketing materials to the actual listing, Rowan's expertise in both real estate and the Naples market are unmatched. He knows exactly what to do and I was able to let him do the worrying for me." "When I was looking for a new condo, I immediately called Rowan. He knew what I was looking for and didn't waste time in bringing me to places he knew wouldn't work. Not only did he show me available units, but he also had information and background on neighborhoods, developments and in some instances, buildings, making my decision that much easier. I wouldn't use anyone but Rowan Samuel when it comes to Naples real estate." 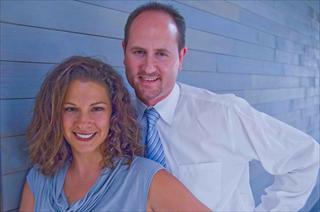 "After a few years of trying to sell our Naples home, we were introduced to the Samuel Team. We were hoping to sell within a few months and were thrilled when it went under contract in just a few weeks. Karyn and Rowan sat down with us and provided us with current market pricing. Together we agreed on the right price to list the property to get it sold. The marketing Rowan provided via print and the web was superior to anything we had seen before. During contract negotiations, Karyn was able to foresee potential problems and addressed them before they even arose - making the process pretty relaxed. Karyn and Rowan provide a high level of customer service - always calling personally to keep us informed every step of the way. They make a great team, and we would highly recommend them to anyone trying to get their home sold!" We are writing to tell you about the extraordinary service we received working with Karyn Samuel, J.D.during our real estate transaction. Both of us have worked for large, highly regarded corporations where industry knowledge, customer service, personal integrity and company leadership are key to success. Karyn Samuel's performance matched that of any high performing associate we have encountered during our business career. We feel extremely fortunate that we had the opportunity to work with Karyn. We would like to participate in any way we can in providing testimonials, referral support and first hand feedback for Karyn Samuel's prospective clients. "Karyn, as you know we are currently working with “three” real estate professionals (Naples, York, Lake!). Over the years we have bought and sold 11 homes. We would like you to know your service is far superior to any of our other experiences. We very much appreciate the information, advice, quick responses, immediate follow up and industry “education” you provide us. Most of all we appreciate the way you balance professionalism and personal care. It has been great to work with you during our Naples transaction. Once we have concluded our work together Jim and I would like a chance to broadcast your “talents” so that others can benefit. Thank you very much for all of your work on our behalf. It was a pleasure having you as my agents for the sale of my Naples home. Your professionalism was exemplary. Many thanks." "We couldn't have asked for more attentive, knowledgeable and responsive real estate professionals than The Samuel Team. They helped us find and close on the perfect home for us - on our terms and in our own way! High praise!" "Karyn Samuel was both professional and a delight to work with when selling our Naples beachfront condo. She kept us informed and was completely accessible when we had questions. She provided real time comparables so we could determine an appropriate list price. Our sale closed in record time." "We are sitting in our brand new gorgeous, peaceful, condo in Naples, looking at the sunset over the lake. It was amazing that Karyn knew exactly what we needed and what we were looking for. She went out of her way to work with us from out-of-town. We were able to contact her with all our questions and she responded with expert advice very promptly. We love Karyn and she will be our realtor forever." "Karyn was extremely hard working at finding a home that we love. She really listened to our preferences and got to know us so that she would understand what we were looking for. She is extremely knowledgeable, patient and flexible. Her diligence allowed us to close on our perfect home for a price we were very comfortable with. We would recommend her to anyone looking to purchase or sell a home. We no longer consider Karyn just as our real estate agent; she is our friend." "Karyn Samuel was absolutely wonderful to work with and we would like to thank her for her great work in selling our home. I appreciated her consistent communication, strong knowledge of the market and expertise in handling our listing." "We met Karyn by chance at an open house we visited last winter and liked her immediately. She offered to send us daily listings with no obligation and was true to her word. With her excellent knowledge of the market and her low pressure style, she soon became an invaluable resource. She understood what was important to us and knew exactly what we were looking for. She’s intelligent, experienced, professional and a great negotiator. She was always accessible and gave us excellent advice. We would definitely recommend her to anyone thinking of buying or selling a home in Naples." Liz and I thank you for all your wonderful help in refining our purchase objectives. Your assistance made it possible for us to approach a one-day house-hunting expedition with an informed and efficient game plan. As a result, we were successful in targeting and buying the best home for us. You obviously bring many skills to the table, and we are the clear beneficiary of that. You have an abundance of local knowledge. Also, let's not forget how pleasant it was to deal with you. Thanks again." "We had the pleasure of working with Karyn as our agent on our recent purchase of a home in Naples. We could not have been happier with the service Karyn provided to us. Her service extended well beyond the typical role of a real estate agent. Over the course of transaction, she played many different roles – expert/trusted advisor, negotiator, tour guide, concierge, hostess – all with such diligence, ease and grace. She oversaw all the details of the transaction and responded to all of our requests in a proactive and skilful manner. We would highly recommend Karyn to anyone looking for a home in Naples. She will undoubtedly exceed your expectations!" I highly recommend Rowan Samuel and his team at John R. Wood Realtors to any out-of-state seller in need of a reliable, honest, and competent real estate professional in the Naples area. Not only did Rowan, who I never met, handle the sale of my Florida home knowledgeably and with great skill, he handled me personally in a way that was respectful of my very difficult personal circumstances. He made me feel like I had a friend and ally in the goal of selling my home. I am very grateful and would recommend him without hesitation. We really enjoyed working with the Samuel Team. We have moved several times and found the Samuel's to be hands on, easy to reach, and extremely knowledgeable about location, schools, and neighborhoods. They were always ready at the drop of hat to show us what we wanted. The house we ended up buying was one I did NOT want to see, the pictures were horrible. But Rowan said..."just go look at it, you never know what is not in the pictures". Well needless to say, fell in love and made an offer right away! I can't imagine ever moving but if we do Rowan and Karyn will be the first people we call! Amanda Rowe, Naples, FL I have been working with Rowan for almost a year now, off an on, and have found him to be an excellent resource, professional, courteous, knowledgeable, and very patient. He is tech savvy and a pleasure to interact with both in person, over the phone, and online. He is also a gentleman. We've worked with a lot of realtors and Rowan is one of the best! His extensive knowledge of everything Naples combined with his business savvy and keen assessment of national trends gave us a lot of confidence in our purchase. He offers a high level of service, is very responsive and, to top it off, is a super-nice guy. We love the house he helped us find, but when it comes time to sell, Rowan will be our first call. I worked with Rowan in various capacities involving real estate, politics and philanthropy over the last few years. A sharp individual who knows how to meet the needs of his clients, first and foremost. All and all, he is a class act and look forward to the opportunity to work with him again! We listed our home with the The Samuel Team; they very professional and thorough. We've sold 6 houses in the past and this was the best experience we have ever had selling a house. The word that comes to mind is "painless". The Samuels know the market,the trends and the marketing. We would recommend them to anyone that wants to buy or sell a house! We are living in Europe and worked with Karyn for several months, on line, to crystalize our goals. When we finally visited Naples early this year and looked at the selected properties, they were all in line with the criteria we had set - not a minute wasted. The next day we were able to make our buying decision. We now look forward to spending lots of time in Florida. Thank you! Karyn was wonderful to work with. She was very responsive and has a deep knowledge of the Naples market. She did a great job of keeping us calm during the inevitable stress of the buying process. She was truly a trusted advisor. We will certainly refer Karyn if the opportunity arises. A great moment with Rowan was when he took us to the private beach access area for our condo. It's a lovely spot and in that moment, my husband was finally sold on living closer to the beach rather than in a golf course community. My husband and I are realtors in Maryland and we were looking for a second home in Naples, FL. We met Rowan by happenstance at a new construction development and immediately liked him. We did some research and found that our instincts were right about Rowan, so we hired him to help us with our home search. Rowan's thorough knowledge about Naples real estate definitely aided us in selecting a community and residence that best met our needs. Rowan was always quick to respond to our questions and has an excellent professional network to assist with all aspects of a real estate transaction. We couldn't be happier with our choice of a realtor - and that says a lot coming from realtors. Congratulations! You have just found the best realtors in Naples. Karyn and Rowan did an outstanding job selling our old house and purchasing our new one in a timely fashion. This occurred at at time when the market was very dynamic and if it was not for them, both deals would not have occurred. Their knowledge of the market and tireless efforts helped us achieve the best results with both transactions. They are truly exceptional.